Nowadays Phones are the basic need of everyone, Everyone needs a smartphone to make their status well in society. Mobile phones are now a part of life we can contact from one country to another, we will talk message and use internet on our devices, But now old mobile phones are not meet needs of everyone in this modern era so many companies have introduced their smartphones in the market to meets requirements for everyone. 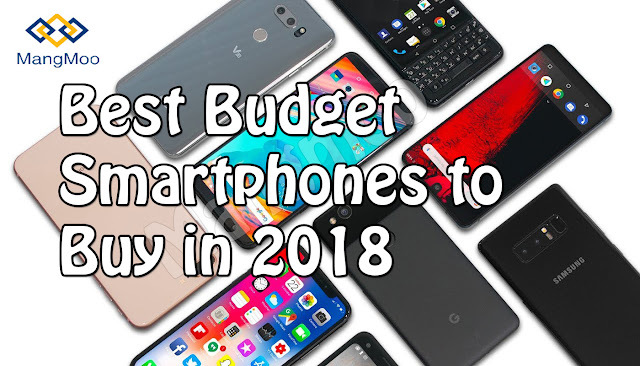 We are discussing some of the best budget devices in 2018, these devices are not too much costly and these devices are rich in features. Apple and Samsung always introduce more premium devices with more features in the market there is no comparison for these two brands but remember that Huawei introduces Huawei P20 Pro which has 3 cameras but the price of this device is more than US950$. These devices are too much costly and we are discussing budgets devices so let's start. Huawei Y7 Prime is official device launched with some upgrades in 2018. This device is included in premium devices because this device is full of new features with two main cameras, 32GB Hard drive and 4G LTE supported you can learn more about this device from Huawei official website. Price of this device is USD $173 (Maybe different for different countries). Xiaomi Redmi Note 4 is another budget device that comes along with many features. Xiaomi Inc. is a Chinese electronics company headquartered in Beijing. Xiaomi makes and invests in smartphones, mobile apps, laptops, and related consumer electronics. Some specs include 32GB internal storage with 3GB RAM 4G LTE supported with 13mp main camera and front is 5mp, if you want to learn more about this device then you can check by visiting their official website. Price of this device is USD $186 (Maybe different for different countries). Lenovo Vibe P2 is another amazing device from Lenovo company which is one of the old and biggest home of smartphones. what makes Lenovo great is brand Lenovo is one of the oldest brand so the customer doesn't need to take reviews before buying some specs include 64GB Storage and 4GB RAM, 4G LTE supported device, the Main Camera is 13mp which records video also at 2160p@30fps.This device is known for its battery performance So if you want to learn more about this device then go to their official website and learn more about specs of this device. Price of this device is USD $319 (Maybe different for different countries). Vivo V7 is another smartphone which is rich in features and not too much costly. Vivo is a Chinese technology that makes smartphones and other software accessories. why Vivo V7 is because due to their performance and selfie camera, Vivo V7 comes along with 16mp main camera and front 24mp 4GB Ram and 32GB built-in storage. If you want to learn more about this device then visit their official website. Price of this device is USD $216 (Maybe different for different countries). Oppo F5 is another Chinese smartphone from Oppo company, Which is rich in features and you will feel perfect after taking it in your hand, so why Oppo F3 is because of its camera and other rich features. The main reason why I suggest you buy this device is Device shape, Yeah the shape of this device is like premium designs. 4G LTE supported device, It comes along with 16mp main and 24mp front camera with 32GB internal storage and 4GB RAM. If you want to learn more about this device then go to their official website and learn more about this device. Price of this device is USD $276 (Maybe different for different countries).